I can kind of foresee that many of these posts about Shazam! will be very, very, very short. This is the episode where a blind kid gets tired of his older brother being so overprotective and wanders off. 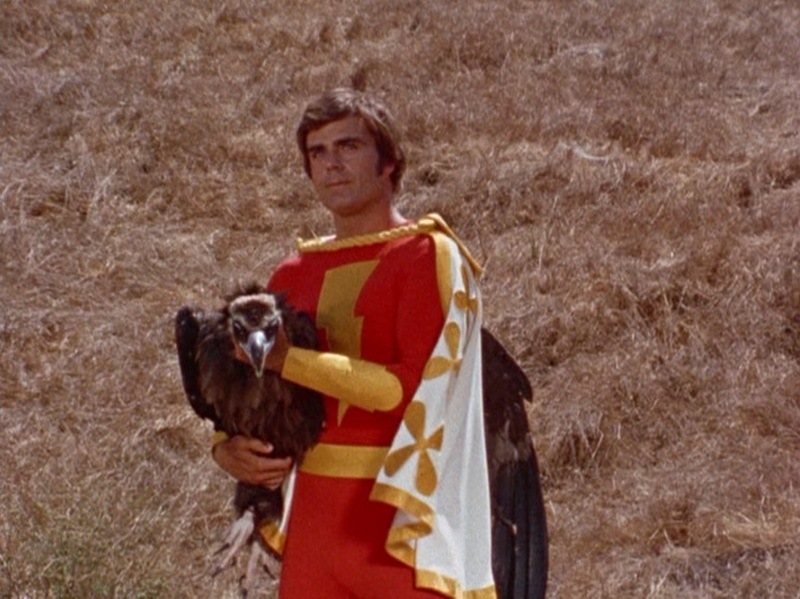 The older brother gets bitten by a rattlesnake, and Captain Marvel is needed to save Fawcett City from Mr. Mind’s Monster Society of Evil. No, that’s a lie. 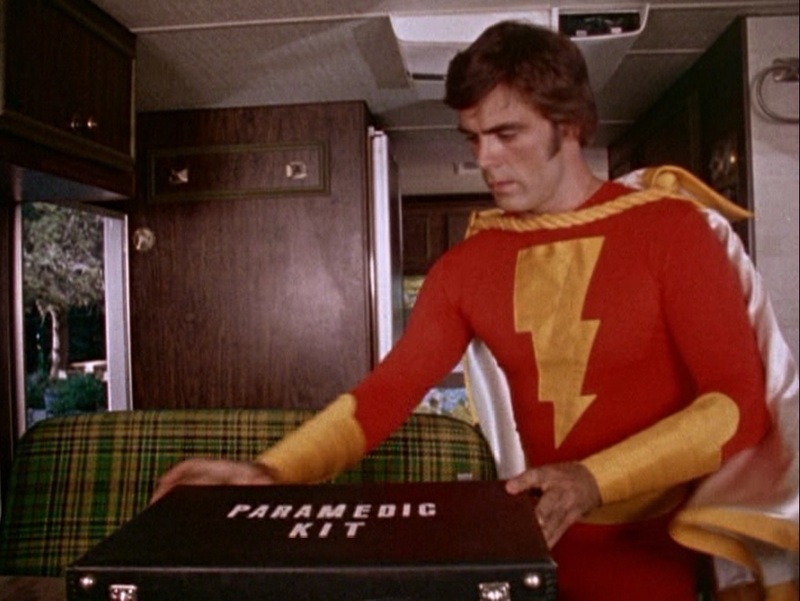 He’s needed to fly back to the RV and get the snakebite kit. This did, at least, give us an opportunity to talk to Daniel about appropriate safety around snakes. Tagged as chuck menville, filmation, hollingsworth morse, jackson bostwick, len janson, shazam! 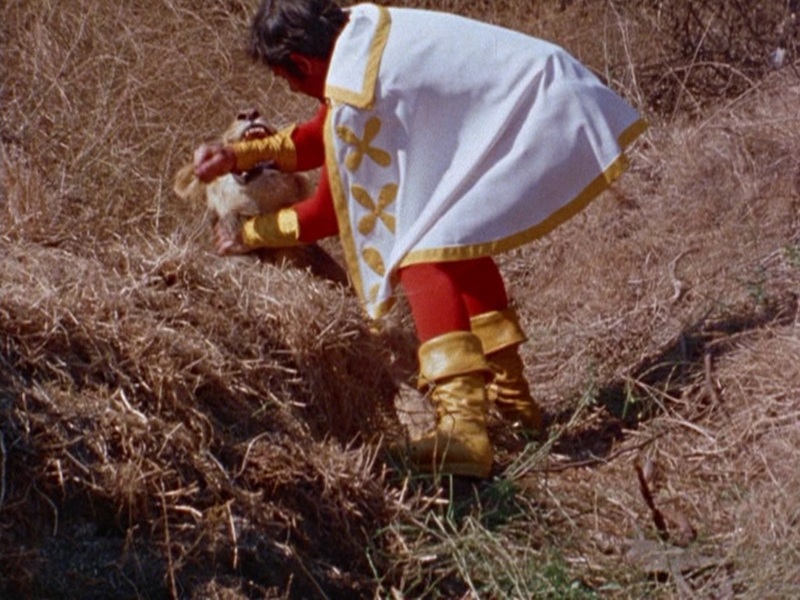 Me, I never had any trouble understanding that Captain Marvel is the fellow in the red pajamas and “Shazam!” is his magic word, but I did have a lot of trouble enjoying this show as a kid myself precisely because it doesn’t have any supervillains and deathtraps. It’s a gentle moral adventure about doing the right thing, unthreatening to the point of being boring. I won’t defend it, but I think it’s an interesting little curio and period piece. It would have been a billion times better if he was fighting IBAC, Aunt Minerva, Dr. Sivana, and Black Adam every week, of course. The show stars Michael Gray as a much-older-than-the-comics Billy Batson, and he’s traveling “the highways and byways” of southern California in an RV with a guy named Mentor, played by Les Tremayne. Every week, they run across some young people making some poor decisions and, with a little help from the barely-animated “Elders” (Solomon, Hercules, Achilles, Zeus, Atlas, and Mercury), Captain Marvel sets the kids on the path of doing the right thing. There are a few merciful deviations from this format, but not enough of them. 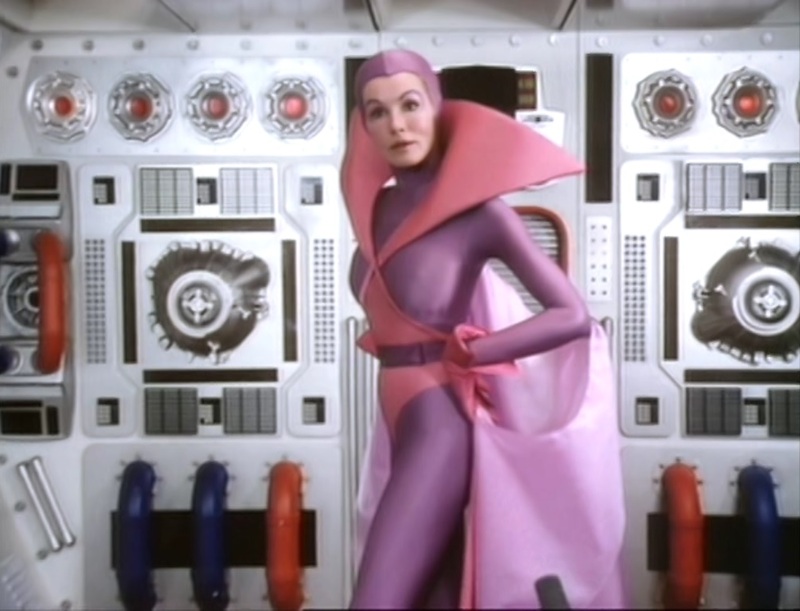 Captain Marvel is played by Jackson Bostwick in the first season and part of the second. 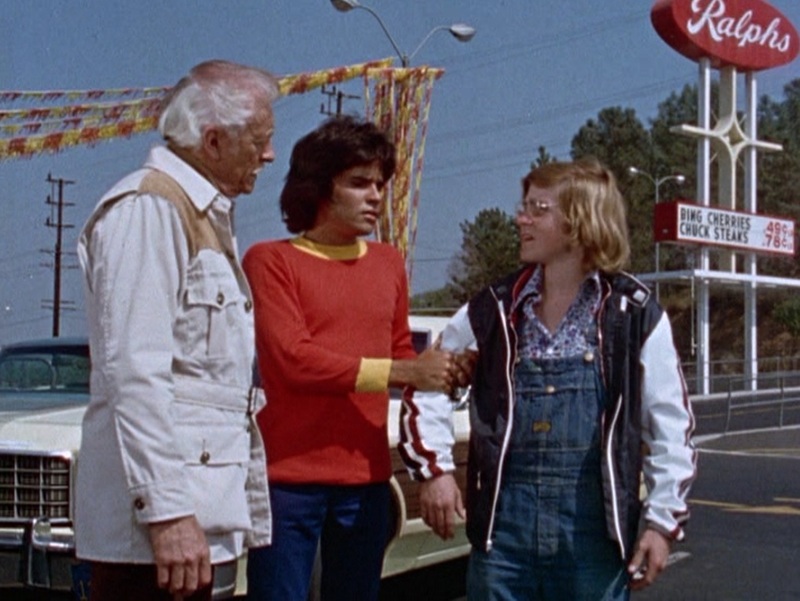 So tonight we watched the first episode, “The Joyriders,” in which some kids “borrow” cars – leaving keys in the ignition was apparently the thing to do in Los Angeles, 1974 – even when one of them tries to talk the others out of it. Fleeing from Captain Marvel, they drive into a junkyard and hide in a van which gets hooked by the crane and bound for the car crusher. I had no idea that would frighten Daniel so badly, but he just about passed out with terror. We had to reassure him that, in addition to no costumed bad guys, nobody ever really gets hurt in this show either. 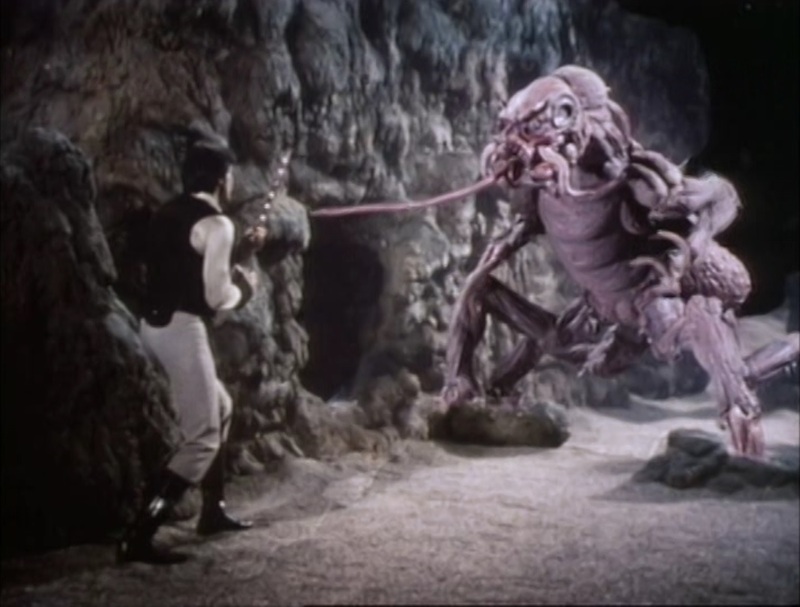 The first episode is one of many that was written by the kidvid team of Les Janson and Chuck Menville, who wrote for just about everything in the seventies and eighties, and was directed by Hollingsworth Morse, who had directed all of H.R. Pufnstuf five years previously. We’ll be watching the first season of this show in rotation over the next couple of months, provided we can stay awake. Zzzzzzzzzz. Tagged as chuck menville, filmation, hollingsworth morse, jackson bostwick, len janson, les tremayne, michael gray, shazam!